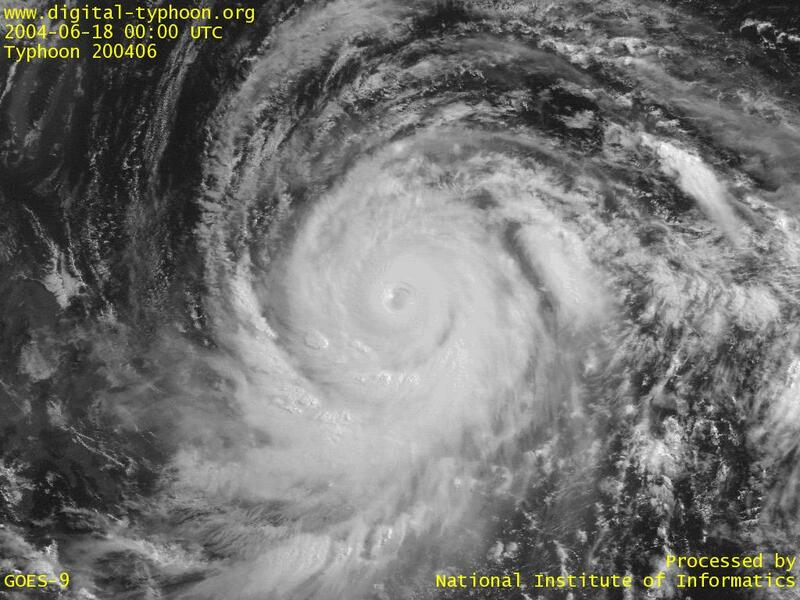 Typhoon DIANMU is moving off the Southwest islands. Its rainy clouds are mainly developed in the south and the east quadrant of the typhoon, which is still away from main islands. And later in the evening, the southern Kyushu area has entered into the strong wind circle, and with a row of rainy clouds surrounding the core of the typhoon, it seems heavy rainfall and winds started in that area. Tomorrow morning, the typhoon is forecast to make landfall on Shikoku, and then pass through Chugoku Region to Japan Sea. 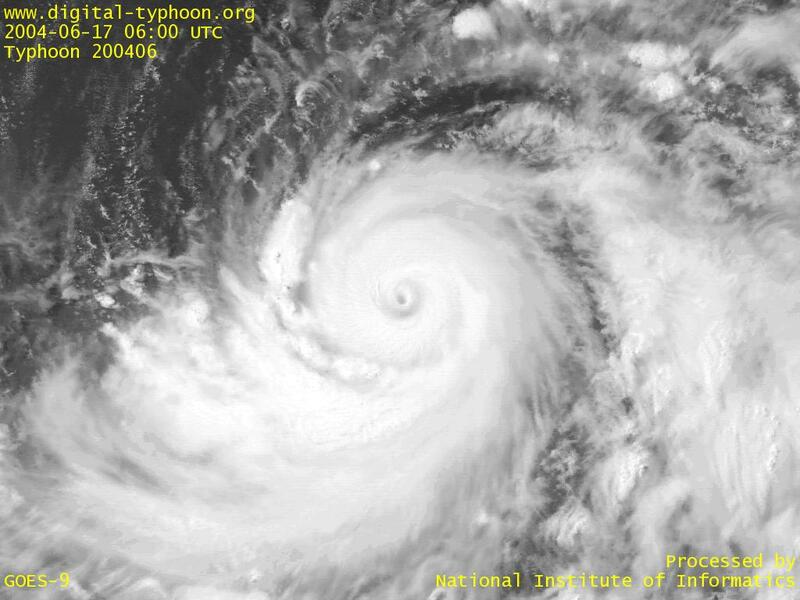 Typhoon DIANMU, compared to yesterday, has got smaller cloud regions and the larger hole (maybe the big eye?). Although it is getting a little weaker, heavy rain has already started at distant places such as Miyazaki and Kochi, and its wide extension of strong winds is expected to make heavy rainfall at many places in the coming days. It seems Typhoon DIANMU has passed its peak intensity, but it is, from the beginning, a gigantic one, so it still keeps its power. The shape of clouds takes a beautifully rounded shape, but the boundary of the eye looks a little vague with the tendency of enlargement. In the afternoon, the eye got larger than yesterday, and the boundary became clear again. 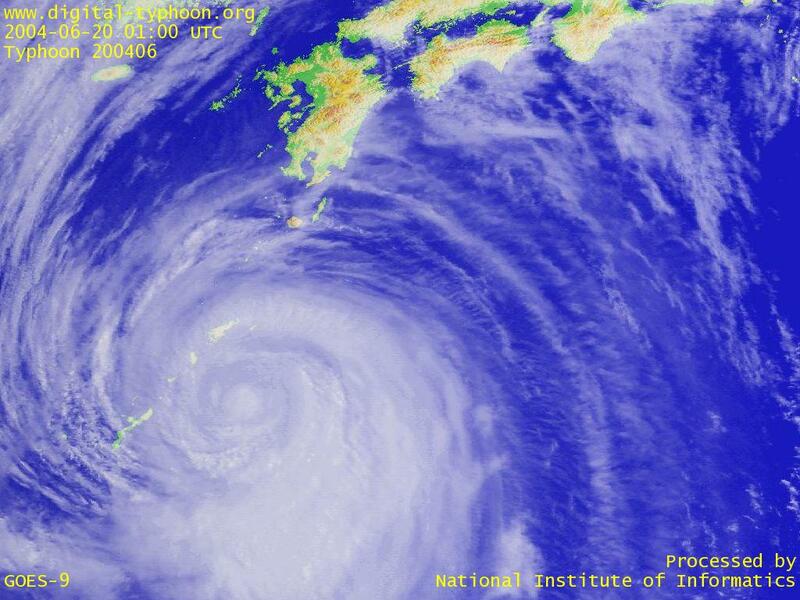 Typhoon DIANMU still keeps its strong intensity. 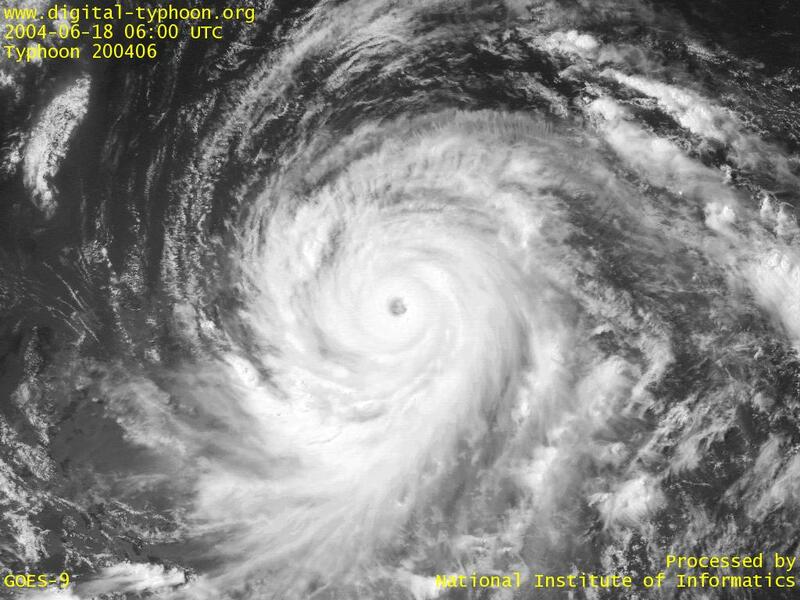 It looks its eye is getting more like cone-shaped, or rather the double eyes, but its surrounding clouds form a beautiful spiral shape. Typhoon DIANMU has deeepened into a super typhoon. 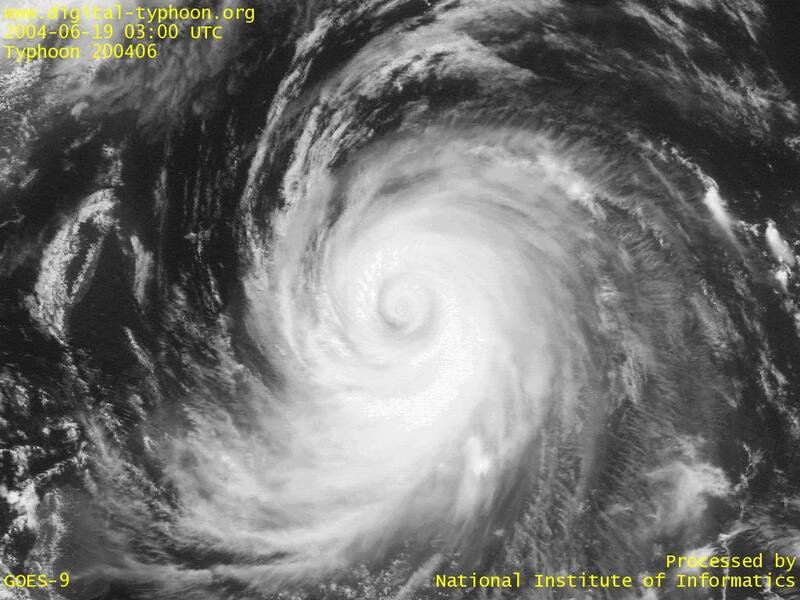 Its small eye and thick clouds surrounding the eye indicates that the typhoon is very well developed now. 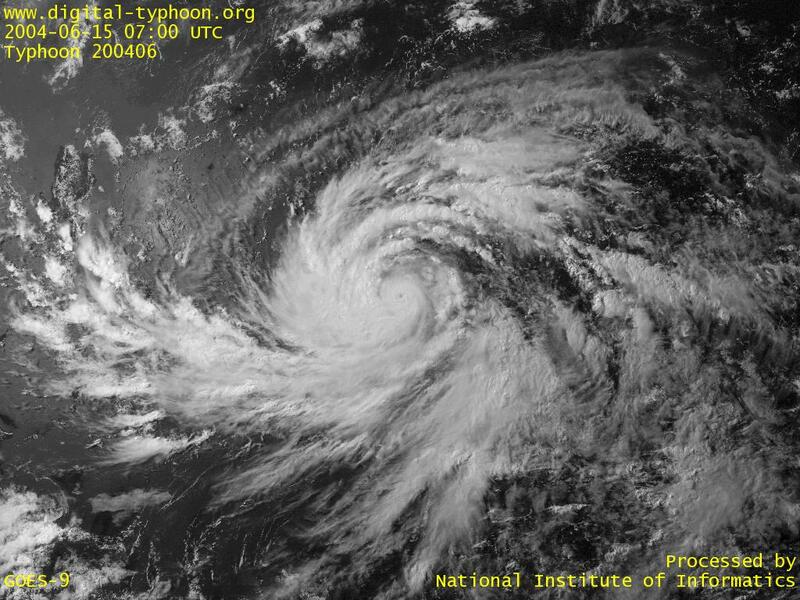 Typhoon DIANMU has grown into a giant typhoon, and it seems that we will see its significant development from now on. 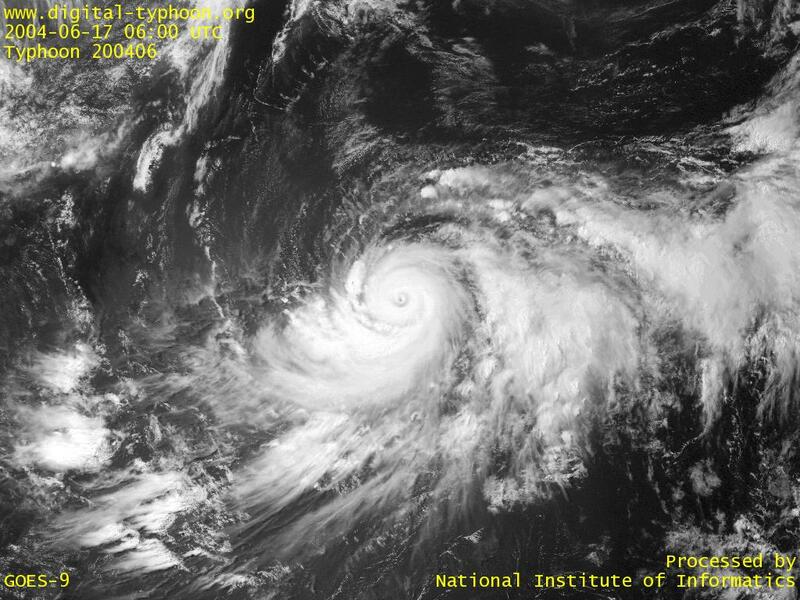 Typhoon DIANMU was born in Caroline Islands. 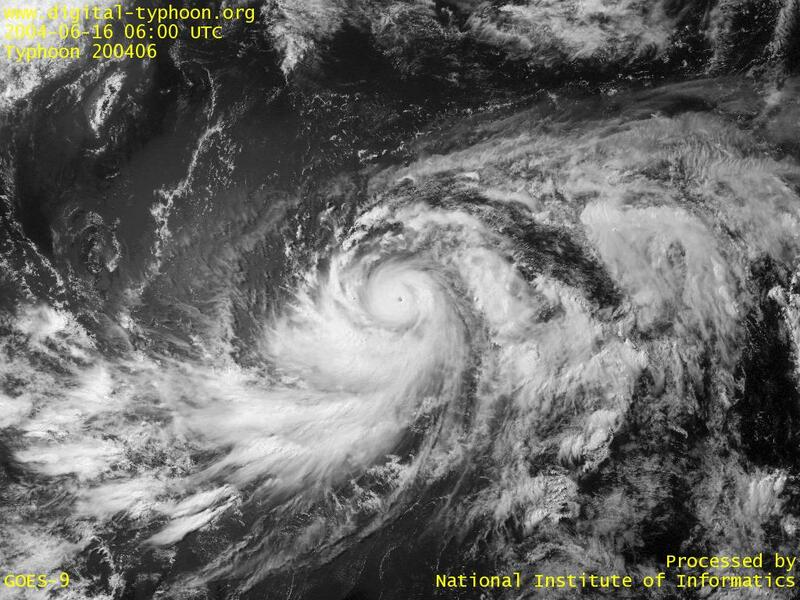 The clouds look like a gigantic spiral, and according to forecasts, it is expected to develop into a strong typhoon. 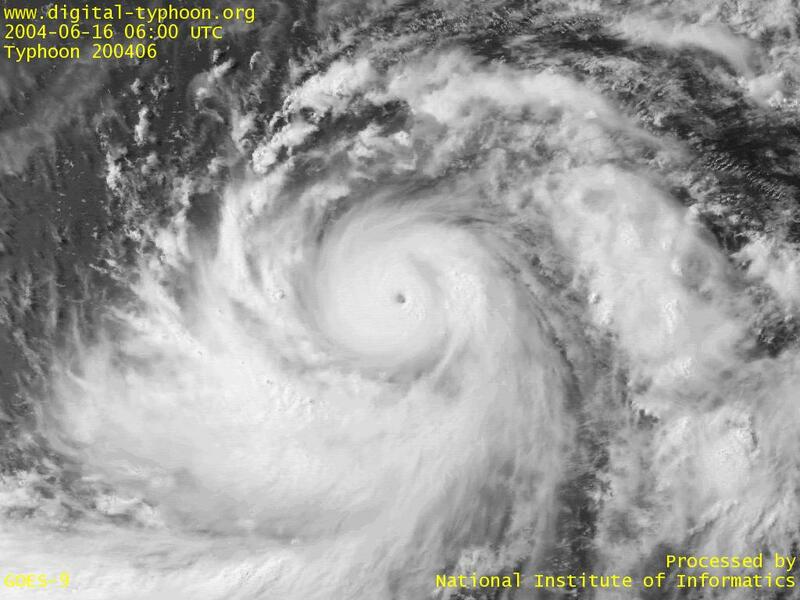 Satellite images of Typhoon DIANMU by NASA.